August 24, 2015 .Reading time 5 minutes. I have been really loving my ColourPop Super Shock Shadow’s recently and I thought I would share my collection with you! I am a huuuge fan of these shadows. The formula is so unique – sort of a mousey cream texture. 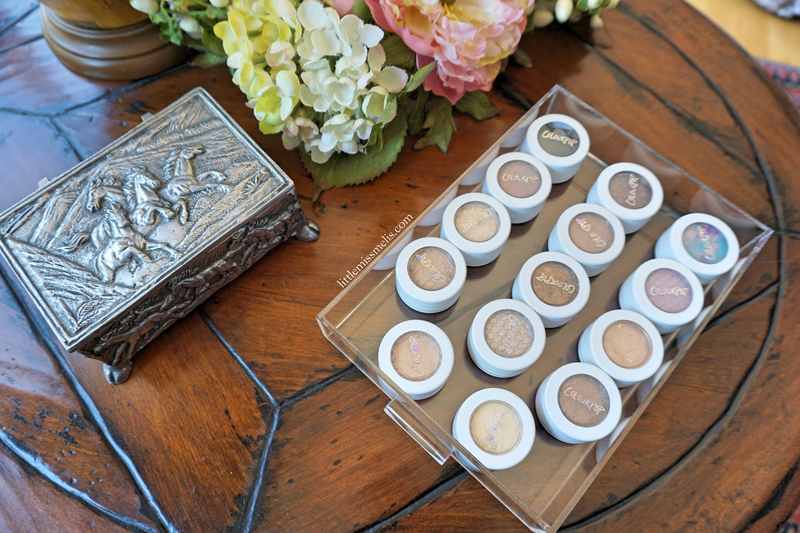 I think they are the perfect way to add a pop of shimmer to any eye look. As you’ll see in my collection, I am a big fan of their neutral metallic/pearlized finishes. Today I wanted to talk to you about a slightly different subscription box – the Julep Maven box! Julep has quickly become one of my favorite nail polishes and I have also really enjoyed a lot of their other beauty products. Their eyeliner is my holy grail (it literally does not move for hours!). I particularly love this box because you can customize exactly what is inside and you can skip a month whenever you want! A typical Maven subscription is $24.99 (or $19.99 for a pre-paid three month subscription). You can custom create each box with $40+ worth of goodies. I also love that you can add in items to each box for super discounted prices! If you add 3 extras Julep will also throw in a free product! August 19, 2015 .Reading time 4 minutes. 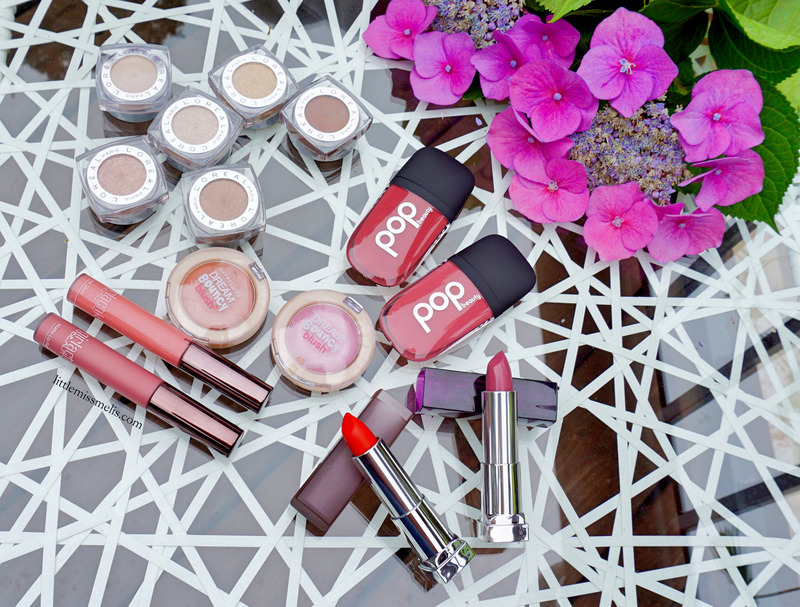 Next up for subscription week I thought we should talk about Ipsy. Similar to Birchbox, Ipsy is a $10 monthly subscription box that comes with 5 beauty samples (sometimes full sized items too!). 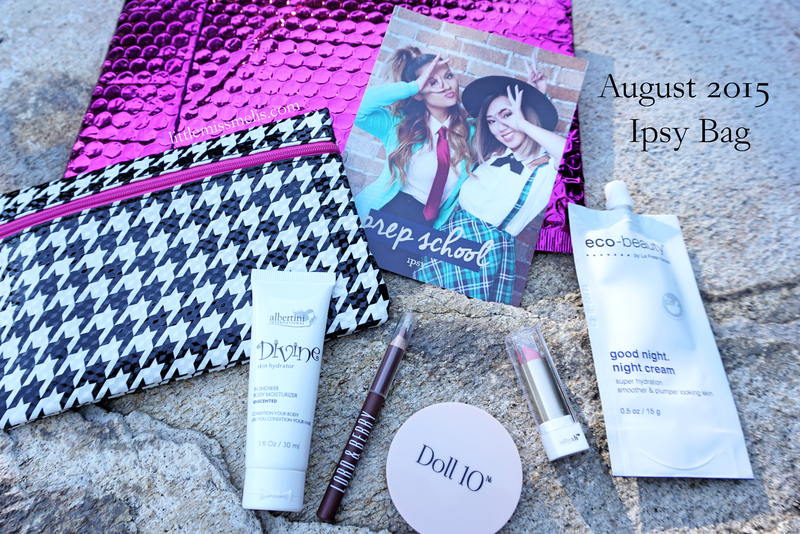 Ipsy is also super cute because each month comes with a little reusable makeup pouch. 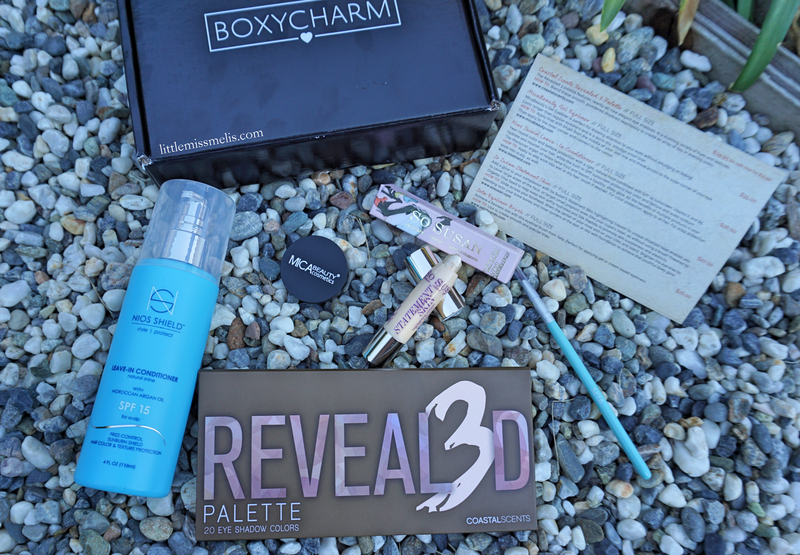 The main difference that I have seen between the two is that Birchbox seems to be catered more toward “Beauty” overall – I get a lot more skincare & haircare products from them, whereas Ipsy is typically more makeup. August 14, 2015 .Reading time 6 minutes. I have been loving a handful of my brushes for summer. There are certain brushes you just know will never let you down so I thought I would share my current holy grails! Beauty Blender & Solid: I love this little sponge. I know there are a lot of more affordable versions of the beauty blender and I’ve tried a couple, but there is something about the technology of the beauty blender that I find cannot be replicated. The way that it blends out my foundation or concealer makes it look so natural, I love it. I got this solid as a 100 pt sample from Sephora and it is perfect for quick rinses of my brushes. I have heard however though that just a simple bar of soup works just in well! Mac 125 Split Fibre: This was part of the Mac Wash and Dry collection and I thought the packaging was so cute. I ended up buying the face brush version of this first and thought the split fibre idea was so cool so I bought the contour brush as well. I think this brush is really great for both cream and powder products. I actually find this brush to be the only one I like when applying the MUFE Pro Bronze Fusion. Real Techniques Stippling Brush: I’ll be honest and say I HATE the packaging of real techniques brushes. I am slightly OCD and like all of the brushes in my little brush cup to look nice and clean and pretty and this brush throws off everything. That being said it is my all time favorite for applying my foundation. I rarely use anything else. I LOVE this brush probably more than any other brush I own. The way that it applies my foundation is so flawless looking, I couldn’t ask for more. I especially like this over some other more typical foundation brushes because I feel that it doesn’t eat any product – whereas some of my denser brushes I feel like half of the product gets lost in the brush. 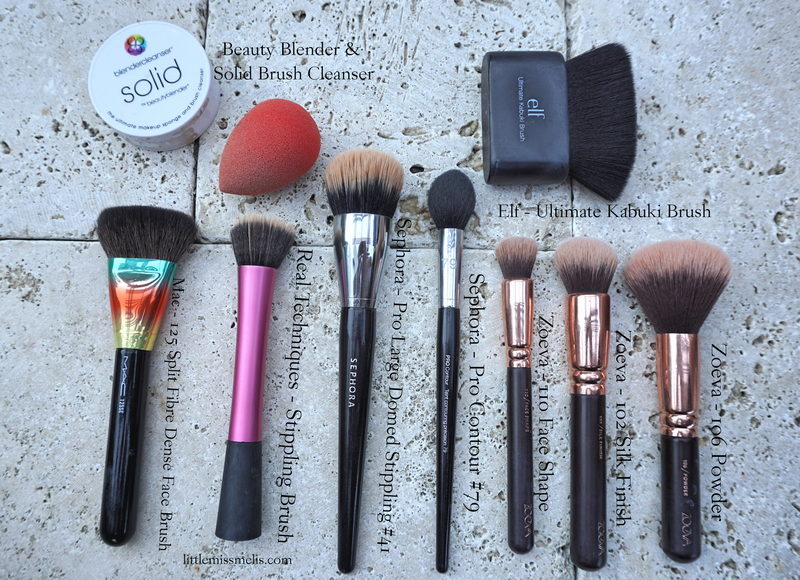 Sephora – Pro Domed Stippling Brush: I pretty much only use this brush with my cream bronzers, but it does suuuuuch a good job of blending out product it is great! This is easily my favorite way to warm up my face on just a day to day basis. I feel like this brush is really well made and is perfect for cream products. Sephora – Pro Contour: I use this brush primarily for setting my under eyes. I think it is the perfect size and shape for getting powder in smaller spaces. I do also use it for contour because the tapered edge is great for getting into the hollows of your cheeks. This is prob my most used / versatile brush. Zoeva – Silk Finish: When I am not using my beauty blender, I use this brush. I think it blends out product beautifully. It is super soft and yet dense enough to really blur out any clumps of product or harsh lines. 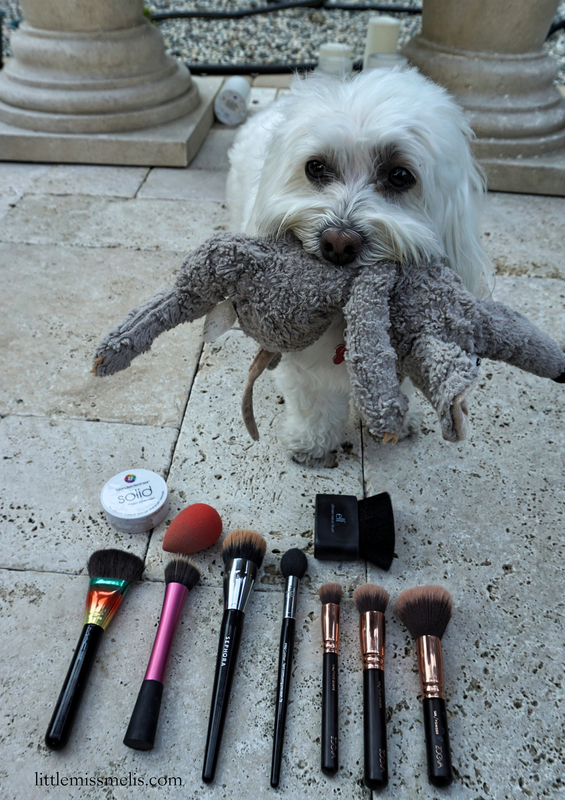 Zoeva – Powder: This is another one of my most used brushes ever. I think this brush is fantastic. It is large and great for powdering your entire face. It is extremely soft which is one of the main things I look for in a powder brush, and just does a great job of evenly applying powder. I also use this at the end of my makeup application for any finishing powder or to do one last little bit of blending. Elf – Ultimate Kabuki: I got this brush online after hearing great things about it online. I think this was such a good purchase! Elf is so affordable and this brush has so many uses. I use it as an all over powder brush and also as a sort of bronze/contour brush as well. When I want a more natural / all over bronze look rather than an actual contour this is my go to. It is super soft and for the price you really can’t beat it! Let me know your fave brushes or recommendations! August 10, 2015 .Reading time 3 minutes. I don’t know about you, but I have been hearing about the Tatcha Luminous Dewy Skin Mist everywhere. I know it came out that this is one of the tools Kim Kardashian’s makeup artist uses and I think after that everybody wanted to try it – myself included! I have heard many bloggers and youtubers RAVE about this product, but I didn’t want to shell out the almost 50 bucks on it! I was able to find the perfect solution. They sell a travel size for only $15! I ended up buying the travel size and finding a coupon for a free deluxe sample of the Polished Classic Rice Enzyme Powder as well. I was so excited when I got my package because the $15 travel size has a really good amount of product (1.35 fl oz). With a mist like this, a little goes a long way. I have been spraying two – three spritzes on my face and I can see amazing results. For someone who has dry skin – this product really is worth all the hype. It is a milky spray that has red algae and their signature HADASEI-3 Biactive Complex. As soon as you spray it on your face you truly do look dewy and luminous, there is no other way to describe it. At first I thought ok, well I just sprayed my face of course it is going to look wet & dewy, but this product soaks in almost immediately and your skin is left glowing. I really am happy I found the travel size to try out because it was worth every penny. This isn’t something I use everyday, but on those occasions where I just need a little more life and radiance on my skin this doessss the trick. I was also really happy to hear that Tatcha is a partner with Room to Read – so every purchase you make you are helping provide education to women in developing countries! So Cool :). I haven’t yet tried the rice enzyme powder although I did think it was great that they provided so many samples with my purchase. Overall, I am very happy – and I think if you’ve been dying to try the skin mist the $15 bottle may be the perfect solution!